Here's an interesting piece of electronics I saw over at mile-stone.jp. 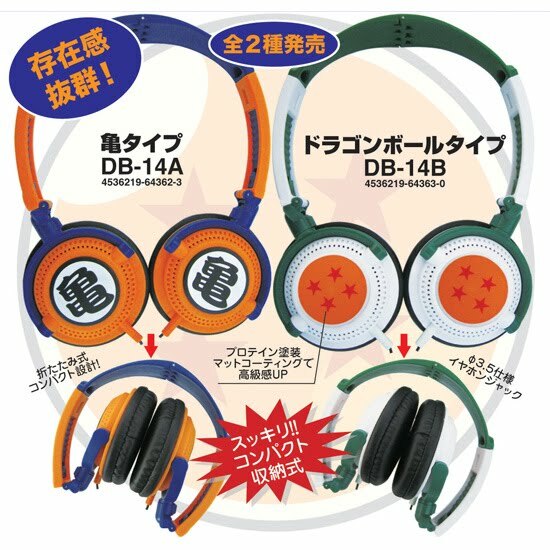 Looks like in January or February we can get our hands on some Dragon Ball head phones, yep add headphones to the array of Dragon Ball and Dragon Ball Z items that are out there. Based on the page, they will go for about 3440 yen or roughly $40-$45. Unless I really get started on some of that voice-over work, I probably will keep using my small ear-bud headphones.